Why your uninstaller delete my very important files ? This is my business where i have files ! 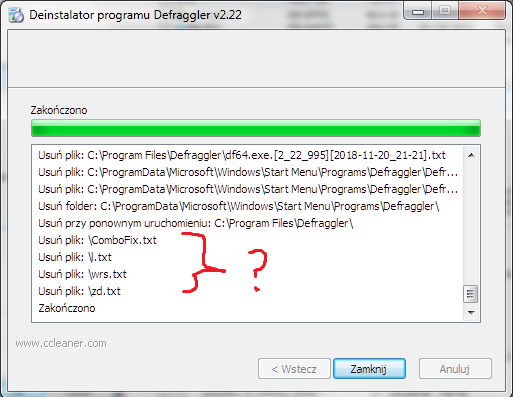 uninstalldir is C:\program files\defraggler AND NOT OTHER PLACES !!!! I remove it becuse i have problem with RAID 0 2x wd blue detected as SSD and i can't defragment it. I want explenation of this.